The Energizer Bunny keeps going and going – and so does NASA’s Voyager 1 spacecraft. More to the point, so does the craft’s thrusters. Over three-and-a-half decades after they were last fired, the probe’s thrusters were successfully fired on Wednesday, November 29, 2017. 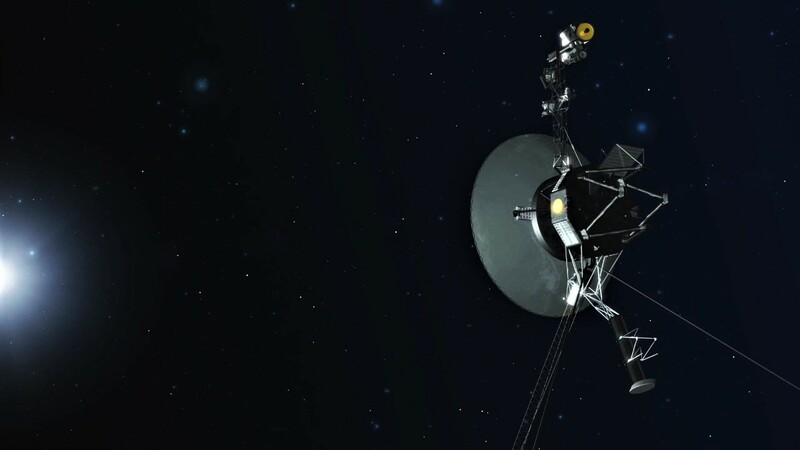 “With these thrusters that are still functional after 37 years without use, we will be able to extend the life of the Voyager 1 spacecraft by two to three years,” said Suzanne Dodd, project manager for the Voyager program via an article posted by the space agency. The MR-103 thrusters in question were produced by the company that is now Aerojet Rocketdyne, the thrusters are used to orient the spacecraft to allow it to communicate back to Earth. These thrusters are fired in small pulses called “puffs” which last milliseconds. The MR-103 thrusters were also used on NASA’s Cassini and Dawn spacecraft. Sending a spacecraft to travel between the stars is no easy feat and, to date, only NASA’s Voyager 1 has accomplished it. According to NASA, Voyager 1 is humanity’s fastest and farthest-traveled spacecraft. At present, and if everything goes as it currently appears to, Voyager 1 should enter interstellar space within the next few years. To Voyager 1′s suite of instruments, mission controllers have utilized “trajectory correction maneuver”, or TCM, thrusters, which are the same size as the attitude control thrusters, and are situated on the spacecraft’s rear section. NASA mission managers have noted that the attitude control thrusters had been performing less efficiently – and at an estimated 13 billion miles from home, AAA can’t help. So, it fell to propulsion experts at NASA’s Jet Propulsion Laboratory to develop an alternative means to adjust the spacecraft’s trajectory via multiple “puffs” to achieve the same effect. The crew that the space agency assembled consisted of Chris Jones, Robert Shotwell, Carl Guernsey, and Todd Barber, all of whom reviewed options to fix the issue. Their solution? Use thrusters that hadn’t been employed for almost 40 years. When the concept was tested, these well-rested TCM thrusters worked just as well as the attitude control thrusters. In fact, the procedure worked so well that NASA will use it on Voyager 1′s sister spacecraft, Voyager 2. “The Voyager team got more excited each time with each milestone in the thruster test. The mood was one of relief, joy[,] and incredulity after witnessing these well-rested thrusters pick up the baton as if no time had passed at all,” said Barber, a JPL propulsion engineer. The thrusters were fired in 10-millisecond pulses, and the command to have them activate traveled through the vast void of space to Voyager 1 – it took some 19 hours and 35 minutes for the command to reach Voyager 1. The order for the TCM thrusters to fire was sent from an antenna located in Goldstone, California, part of NASA’s Deep Space Network. With this successful firing completed, the TCM thrusters will be fired again in January 2018. This procedure requires one heater per thruster to be activated, which is an energy drain on the aging spacecraft’s limited power supply. When it is no longer possible to use it, controllers will switch back to using the attitude control thrusters. Voyager 1 was launched atop a Titan IIIE rocket from Cape Canaveral Air Force Station’s Space Launch Complex 41 on September 5, 1977. The probe flew past the gas giants Jupiter and Saturn as well as the moons of these far-flung worlds.